Filming Reginald Petty: Denise Ward-Brown, Janiene Winborne and Yvonne Osei. 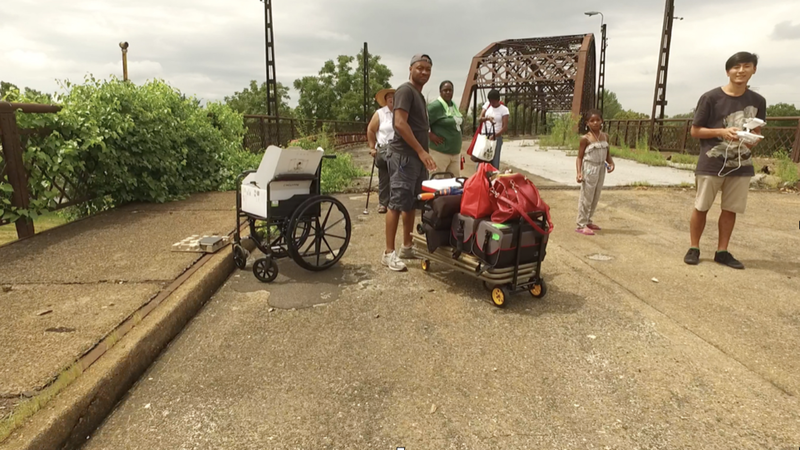 Jun Bea testing the drone footage on closed-down Black Bridge with Charmain Savage, her granddaughter, Janiene and DWB. Filming actor Paul James with Fareed Alston. 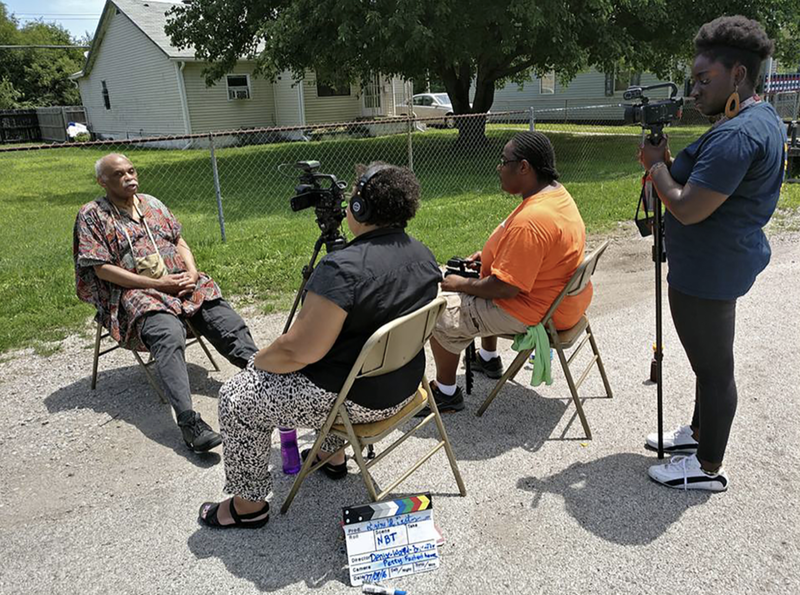 DWB filming & Yvonne on location in East St Louis.